I'd like to present to you our NEWEST decal design for Modded Raptor! If you've been debating on what your first modification will be, we have the answer! 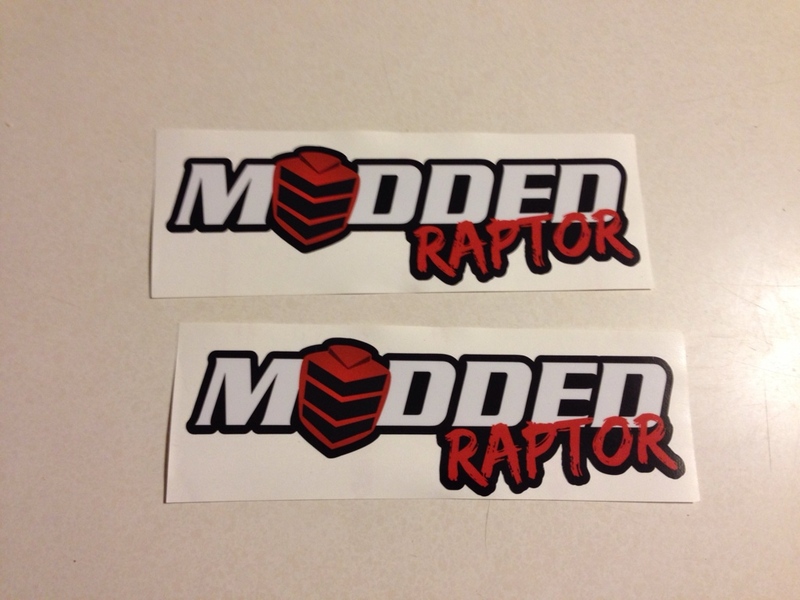 Install the moddedraptor.com decal for a quick and easy visual appearance upgrade I've also been told it could even give you a slight increase in performance. To show our appreciation to the entire community these decals are in stock and ready to ship for FREE!. We will be sending 2 decals out to each member. If you would like more, please let us know. To recieve your free stickers PM your full name and address to the member Nickj. His member page is below. I sent over my info. Thanks a lot wreckless!! No problem guys, get your free stickers while they last! Mine are on they way, thanks!!!!!!!!!!!!!!!!!!! We still have some, get them while you can!